Welcome to MG Auction Watch: the definitive guide to online MG auctions. 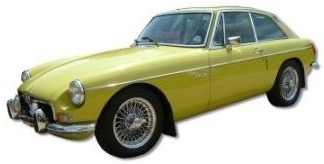 This site offers a comprehensive list of the latest online MG auctions, organised by MG model and category. Comprehensive listings of the current MG auction activity on eBay, categorised by MG model and auction type. Interested in which classic MGs are up for sale on eBay in your neighbourhood right now? Check out this user-friendly search. Prefer dealing locally for spares? Find MG parts in your local area with this companion search. Browse thousands of Lucas parts for sale on eBay sorted into almost thirty different categories, from Alternators to Wiper Motors. Auction listings of SU carbs and fuel pumps, irrespective of marque. Browse eBay's current selection of Jaeger and Smiths dash instrument gauges, divided by type. Thinking about your next MG restoration project? This special search will help you locate cars ripe for restoration. View MG auctions ending in the next hour and grab yourself a last minute bargain! Spread the word about the MG AuctionWatch website to a fellow MG enthusiast.